I went to the range to plink with a CMMG .22 conversion kit. They run about $150.00 at Cheaper Than Dirt. 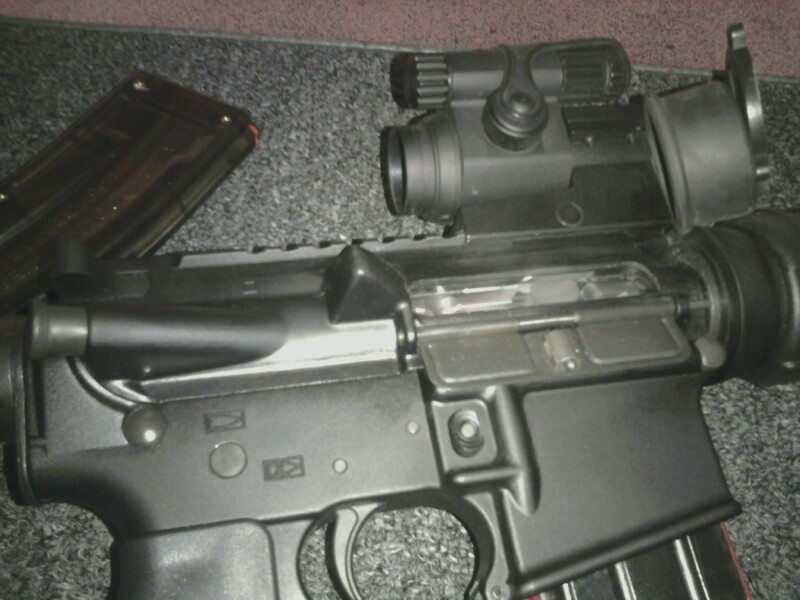 The kit easily drops into your AR15 upper with no modifications. 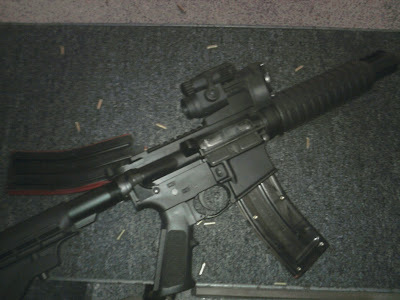 The 25 round magazine works great although I wish it were a darker color. I painted mine just to match the rifle better. The "Black Dog" magazines work well too. 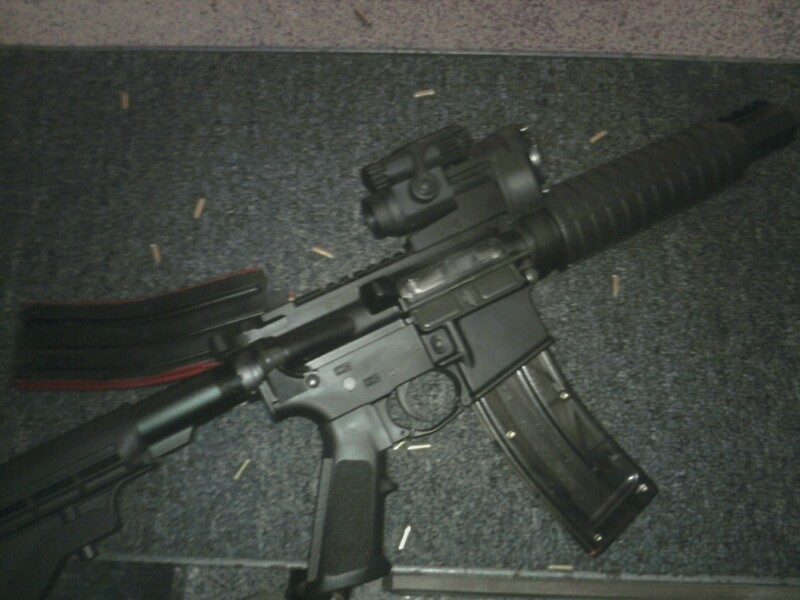 The AR15 used is a 1 in 7" twist, 16" barrel. Accuracy isn't as good as a dedicated rifle designed for 22's, however I now have a rifle that can shoot .223 and .22 with minimal investment and it gets the job done. 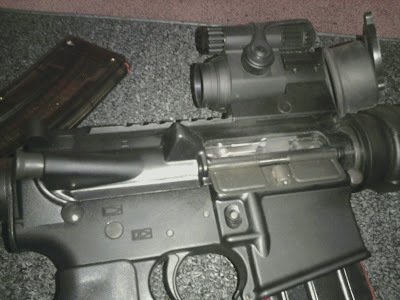 Accuracy should improve with a 3x magnifier mounted behind the Aimpoint red dot sight. 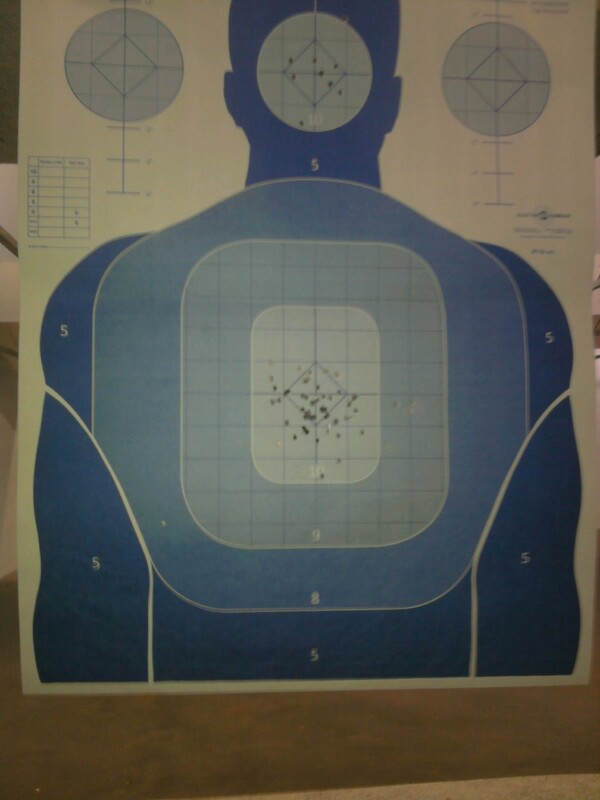 The target pictured above was shot from 35 and 50 yards from a sitting position. Ammo used was Federal. (The WalMart 550 rd box) I must warn you that this kit will not work with Remington Golden Saber bullets and it even states that in the directions. Any other ammo (CCI, Remington, Federal, etc) have worked without issue.